CoAG: the workhorse of the nation? choking on our own prosperity? Adelaide has experienced a heatwave of four consecutive days above 40C within a fortnight of hot days in the mid 30s. That heatwave resulted in a number of blackouts across the state, particularly in metropolitan Adelaide that left at least 50,000 people without power over the weekend. 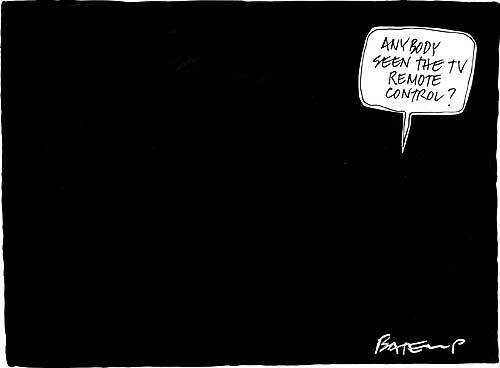 Some power cuts lasted up to 48 hours. Even if you had an airconditioner it would not have worked for some because they had no power available. Since the houses are not built for the hot summer condtions it is hotter inside the house than outside. Consequently, people drive around in their airconditioned cars to keep cool. What we have is an energy system in SA unable to cope with demands in conditions of extreme heat. It is well known that electricity infrastructure has been neglected or run down, even though the heat of Adelaide summers are predictable. The Rann Government continues to keep saying that all the state's energy problems are due to privatisation of the old electricity utility infrastructure. But that line just doesn't convince. Adelaide is getting hotter and more people are turning to airconditioners to cope with the heat. So there is more demand for electricity than supply. The blackouts are an expression of the shortfall and breakdown in the infrastructure (the transformers couldn't cope). Since there is no encouragement by the state government for households to make the shift to solar power to increase the supply in peak demand situations, consumers should receive compensation for damage and the lack of power. The extreme heat conditions are due to return in a few days. So we can expect more power blackouts or rationing. And more promises tto fix things that will not be kept. And we wil have ever more reliance on electricity generated from those coal-fired powerpalnts in the eastern states that produce the greenhouse emissions.That's the national grid for you. What is not happening in Canberra is a prioritising of the development of a transitional, mixed energy profile (renewables and fossil fuels) by the federal government. What is happening is a consideration of only those measures that allow the fossil fuel industry to conduct business as usual. Business as usual means more noxious by-products from the existing modes of energy production and a resistance by the fossil fuel industry to pay the costs of their greenhouse emissions. "..that demand for power peaked at 2838 megawatts on Thursday and 2876 on Friday, eclipsing the previous highest 2832 in February, 2001 -- but confirmed that despite SA's extreme heat and record power demand, there was enough power available." At the peak of last Friday's power demand there was still 400 or 500 megawatts of spare capacity, which is deemed to be plenty. So why the balckouts across Adelaide for 48 hours? ETSA ETSA is claiming that its infrastructure had coped well with the heatwave, but it had been unable to muster sufficient maintenance crews to replace blown fuses. How come the fuses blow? They are not designed for the heat?